Modern light is more than a functional design element for LEDVANCE. Modern light has to offer a certain added value – through highly efficient products, intelligent lighting concepts and persuasive color and design solutions. A glimpse at the highlight products at this year’s Light + Building shows how LEDVANCE intends to realize this aspiration. PostNord, which is the largest logistics company in Sweden and Denmark, is continuously working to optimize its energy consumption in order to bring down CO2 emissions. 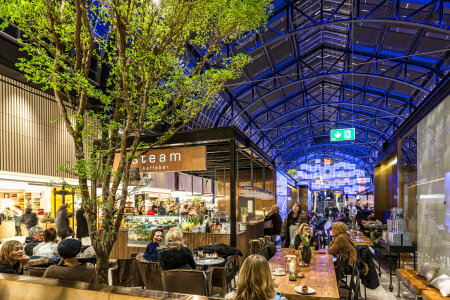 The company has just completed another project and, in doing so, it showcases the massive global change from conventional lighting to LED lighting. LEDVANCE won a Silver Award in EXHIBITOR Magazine’s 31st Annual Exhibit Design Awards competition in the Use of Storytelling category for its outstanding booth design at the consumer electronics fair IFA 2016 in Berlin. LEDVANCE is a winner of this year’s iF DESIGN AWARD, a world-renowned design prize. The winning product, the booth of the IFA Consumer Electronics fair 2016 in Berlin, won in the discipline "Interior Architecture". International consulting study from LEDVANCE shows: Electric wholesalers must strengthen their company profile. LEDVANCE has joined the quality alliance of the Central Association of German Electrical and Information Technology Crafts (ZVEH) as a premium provider for professional and innovative lighting solutions. 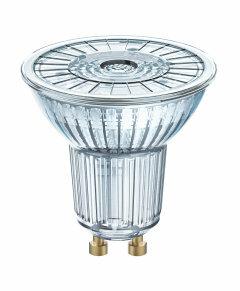 The LED reflector lamp PARATHOM advanced 38 DIM reached now the market as an outdoor version. LEDVANCE, a fully owned subsidiary of OSRAM, launched a project in June 2015 to convert a halogen production line to LEDs at its Eichstätt factory in Germany. 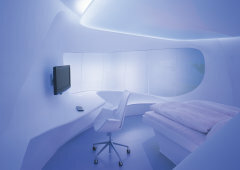 Lamps that generate light with the aid of light emitting diodes (LEDs) are not al-ways compatible with dimmers. Whether an LED lamp is fundamentally dimmable or non-dimmable must be specified on the packaging. But dimmable versions may also cause problems, mostly in combination with already installed brightness con-trollers for traditional lamps. Since September 2009, energy consumption-relevant light sources have been dis-appearing step-by-step from the market. This year it’s the turn of the high voltage reflector tungsten halogen lamps as best-known representatives. 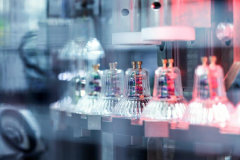 More compact, efficient and individual: In contrast to the incandescent lamp that remained almost unchanged for more than 100 years, the energy-saving lamp has seen rapid development in a period of just 30 years. The marketing of the open industry digital dimming standard LEDOTRON can be traced back to EU incandescent lamp prohibition and the associated uncertainty of the compatibility of "conventional" dimmers with LED and energy-saving lamps. LEDOTRON was developed as a normalized and standardized dimming and control technology. The Nobel Prize in physics 2014 will be awarded for the invention of the blue LED. As a worldwide leading LED provider, OSRAM cordially congratulates the winners Isamu Akasaki, Hiroshi Amano und Shuji Nakamura for this award. 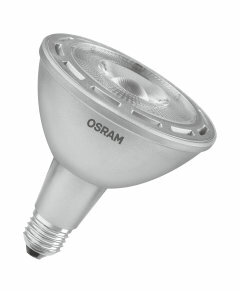 The LED Superstar Classic A40 by OSRAM has been distinguished with the prestigious 2014 Red Dot Award in the Product Design category. This LED lamp was developed to have a similar appearance and light spectrum to classic incandescent lamps.